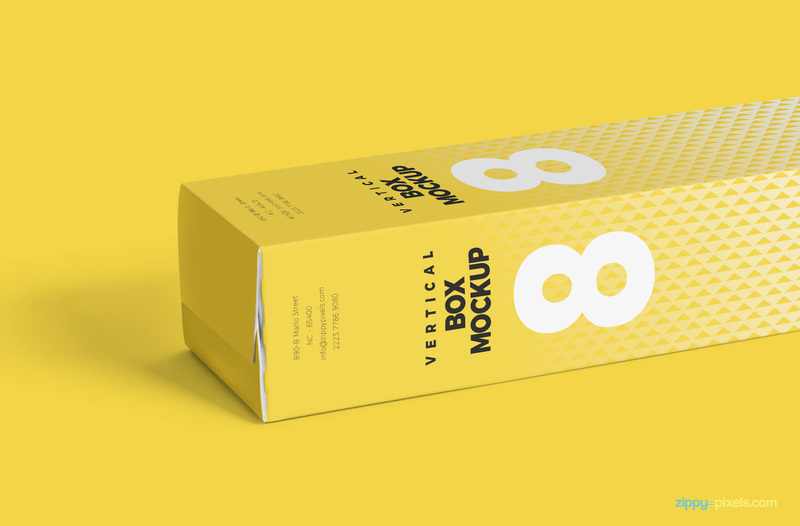 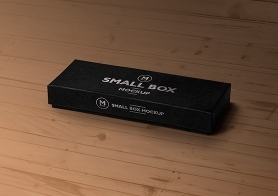 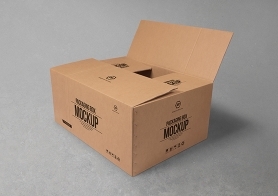 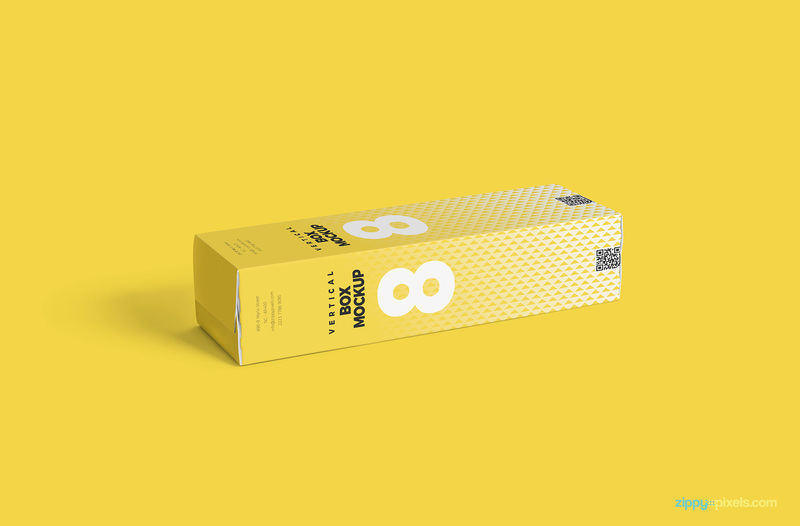 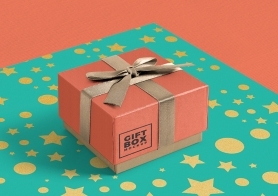 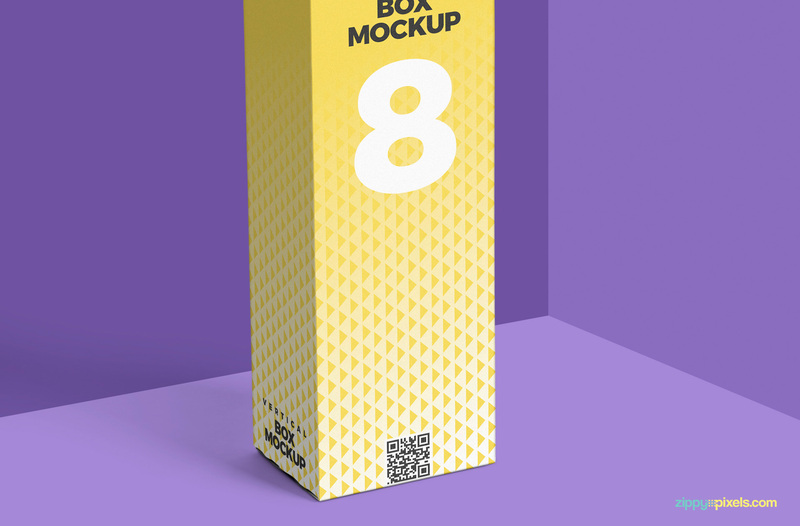 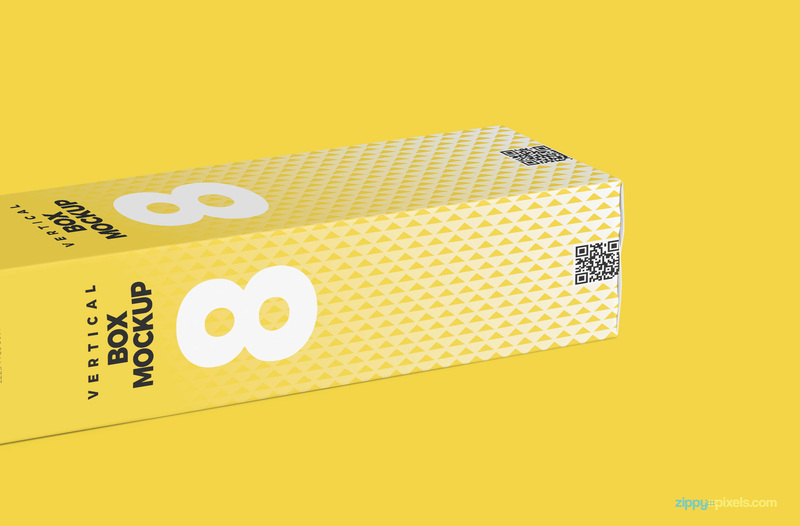 A free vertical box mockup PSD which can be used for boxes of any material particularly cardboard. 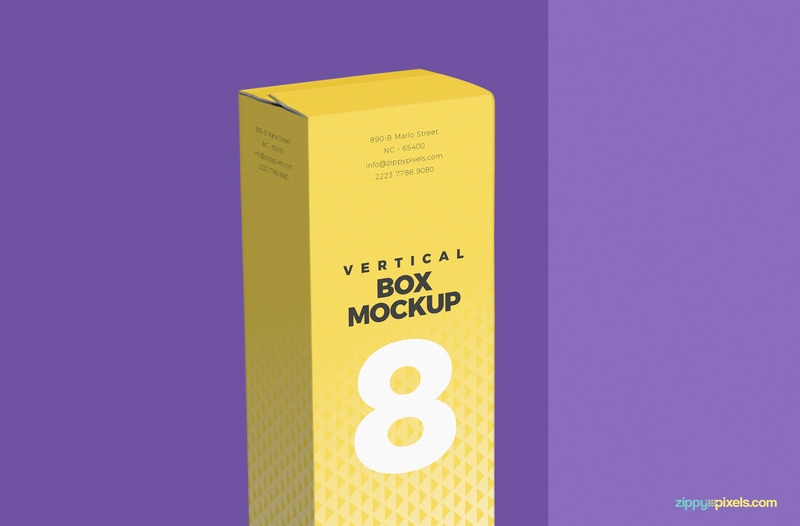 This amazing freebie features a front mockup design size of 7” x 2” and a side mockup design size of 7” x 1.5”. 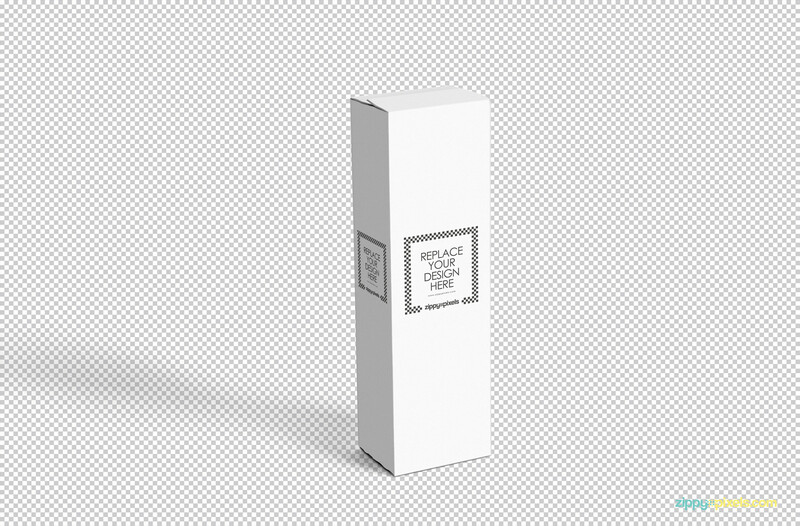 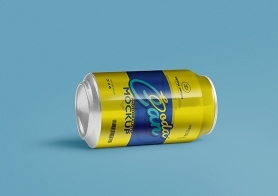 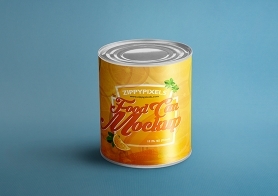 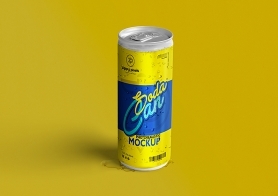 Freely customize the background and floor color, color of the mockup including base and top flaps, adjust shadows and on top of that side face color is also changeable. 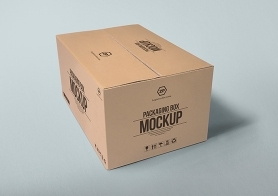 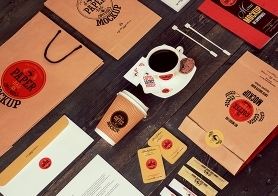 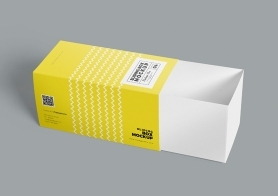 The design of this mockup can be changed using the ‘Smart Object’ option.